There’s a reason why you decided to come to America’s Finest City. With so many attractions and events planned in San Diego, you’re going to love the convenient location of Foxwood Corporate Apartments for your magical stay in Southern California. Here at Foxwood Corporate Apartments, it’s a breeze to take San Diego’s public transportation. With the 933 bus stop just across the street on Delcardo Avenue, you can be on the bus in minutes, arriving at your desired destination quickly and efficiently. Once you’re on the 933 bus, the Palm Avenue Trolley Station is 10 minutes away. With access to the trolley, you’ll be able to travel on 4 different trolley lines for unlimited routes around the city. If you’re in San Diego for military purposes, it can be very convenient to take the bus for work commutes. The 933 bus goes directly to Palm and 9th Street in Imperial Beach. With one transfer to the 901 bus, you’ll go to Naval Amphibious Base Coronado as well as the front gate of Naval Air Station North Island. Â It is no surprise that you’ll love commutes to work by bus when you stay at Foxwood Corporate Apartments. Another great reason to take San Diego buses and trolleys is that the tickets are fairly priced. Day passes are useful for unlimited access to both buses and trolleys all day. If you plan on using public transportation often, monthly passes are available at Vons Stores and Trolley Centers. 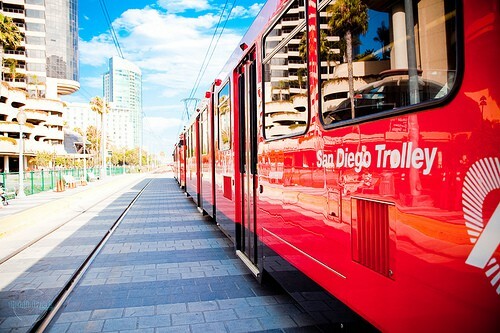 Enjoy your stay in San Diego with San Diego’s public transportation system. The San Diego bus and trolley schedule along with San Diego trolley and bus maps are available on the Foxwood Corporate Apartments website. See just how quick and easy it is to travel to San Diego’s finest attractions from downtown San Diego and Coronado to beaches and the Tijuana/U.S. border. San Diego is full of little quirks, eccentric neighborhoods, and breathtaking scenery. Just exploring all of San Diego’s diverse backdrops can prove to be challenging in a short time period. Get comfortable and stay for a while. At Foxwood Corporate Apartments, we have luxuriously furnished apartments with a convenient location near major freeways and many attractions. However, the best way to see the sights of America’s Finest City is with San Diego’s public transportation. You’ll save time and money with daily or monthly passes for unlimited use. The San Diego bus and trolley schedule also makes it easy to get on and off at certain stops quickly and efficiently. During your stay with us at Foxwood Apartments, you’ll find that it’s so simple to connect with the buses and trolleys of San Diego. A bus stop is located on Delcardo Avenue, right across the street from our accommodations. This bus will take you to all the local business centers within reach where you’ll find many restaurants, stores, supermarkets, and movie theatres. After a few minutes, the bus will stop at the Palm Avenue Trolley Station, a hub for San Diego’s multi-line trolley system. 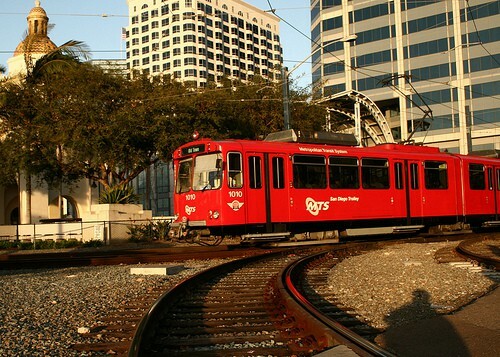 Once you’ve hopped on the trolley, you’ll have access to downtown San Diego, Mission Valley, Imperial Beach, Old Town, and many other wonderful places. See more about our San Diego bus and trolley schedule or maps at Foxwood Apartments online. Nothing beats San Diego’s public transportation in affordability and convenience. With a temporary stay in America’s Finest City, make sure you savor every moment of the SoCal lifestyle. Live with us at Foxwood Apartments, and you’ll create an unforgettable trip in an unforgettable town. Contact us today for more information about our temporary apartments or San Diego’s bus and trolley system.